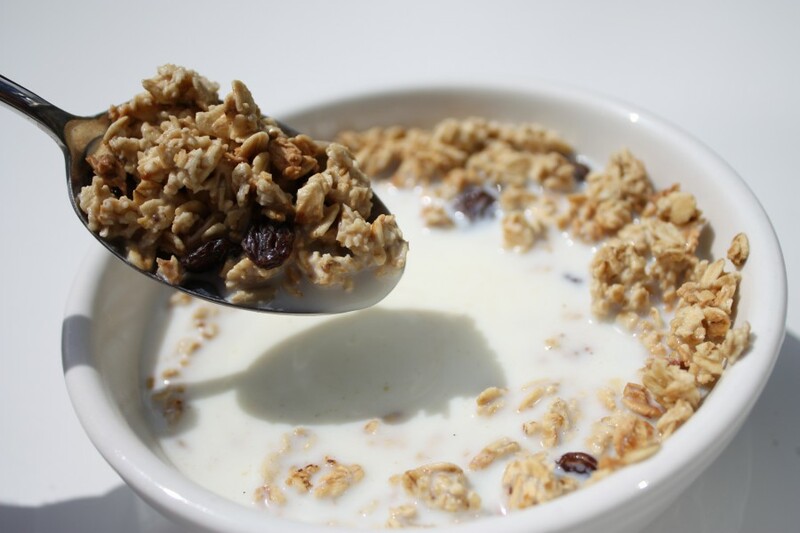 Breakfast cereals have experienced their peak back in the 90s when all of us started eating chocolate balls or cinnamon squares covered with milk and our good-old bread with ham and veggies had fallen into oblivion. Kids certainly loved them and the advertisers knew how to get into children´s minds to create this irresistible craving for sweet treat masked as a healthy breakfast, and topped it with some cute colorful animal-packaging – but that´s a whole another level of this story. You probably now realize that cereals for kids are the worst and their playful shapes and colors are only supposed to grab their attention and basically, make them all addicted. However, we dare to say that 90% of all cereals out there are only hiding behind the healthy-sounding statements about content of oats, brown sugar, whole grain cereals, and ever-decreasing content of fat or sugar, but in reality, are just saturated-fat-soaked sugar-covered pieces of corn and additives. One of the most popular brands here in Slovakia actually advertises breakfast cereal that is supposed to help you lose weight and keep you fit – and it contains palm oil! We hope there´s no need to describe the controversy in detail, let´s just say, palm oil destroys our planet, as well as it does our insides. Since it´s one of the biggest threats regarding cardio-vascular diseases lately, it is quite shocking that someone would use it in their health promoting product, moreover, this ingredient hasn´t been found in any other “non-health-claiming” cereals. It is not only palm oil though that you should be aware of. As we mentioned in flax seeds´ article, any vegetable oil, especially sunflower oil which is widely used in healthy products from BIO stores, can cause disruption in omega3 to omega-6 ratio and basically lead you right towards cardio-vascular diseases. Trying to avoid the “unknown” that multinationals are selling, you may end up buying crunchy cereals with honey and nuts on the package from some small producer and you may believe you´re doing the right thing. Well, it may very well not be the case. Prepare for the shock – these are usually even more loaded with sugar and fat just to make them crunchy and even though they do contain honey and nuts and oats, you must check out the ratio again. We did it for you and reviewed one popular Czech brand of cereal products and the results are as follows: 14 different ingredients including 3 Es, rapeseed oil, and 20g of sugar (out of 59g of carbohydrates per 100g). Since the maximum amount of sugar that is safe to eat daily according to American Heart Association is 37.5g for men and 25g for women, if you´re a woman who tries to eat right and gets her 30g of these “healthy” cereals for breakfast, she´ll be almost one third into her daily allowance of sugar at around 9 AM. Is that what a healthy cereal is supposed to do or is it supposed to keep you full for long time and highly productive?? ?